The first time you wear carbon soled mountain bike shoes, your mouth will literally drop open. The feeling of stiffness is as plain as the nose on your face. It’s quite a sensation, pressing on the pedals and feeling the power transfer. 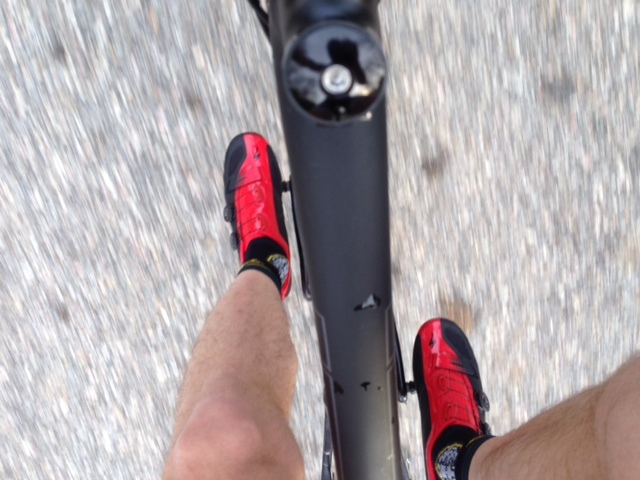 That's the same feeling you should expect the first time you put on the Specialized S-Works MTB shoes. 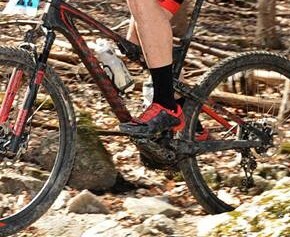 Not only do you get the stiffness you would expect from a top of the line mtb shoe, but you get unmatched fit and comfort. The BOA lace closure system is fantastic. Even when jammed with mud the dials still get the job done, synching the shoe closed at micro adjusted intervals. Pair that with the design of the shoe where stiffer material is employed where needed and flexible/pliable material is present elsewhere and you come out with pure comfort. The shoe conforms to the shape of your foot beautifully, given your toes plenty of room, but hugging the rest of your foot perfectly. You could definitely compare it to a slipper. As a guy who races everything from 45 minute cross races to 13 hour mtb races, this couldn’t fit the bill better for both applications. Quick adjustment, comfortable and stiffer than anything else out there. If you can get over the price tag, there is no reason not to pick these up.